Dan Brown is far from my favorite author, but my hat is off to him for knowing his audience. It sure as hell wasn't me, but my tastes tend to be niche. However, it took a man like John to compare and contrast Tom Clancy's environmental apocalypse with Angels & Demons, and then grant that maybe the book would be better if it were considered alternative history..
No, I haven't read Dan Brown's bestselling thriller, The Da Vinci Code, so I cannot comment on the remark in yesterday's Book Review section of The New York Times that "Everyone but the Abominable Snowman is involved in this paranoid story." 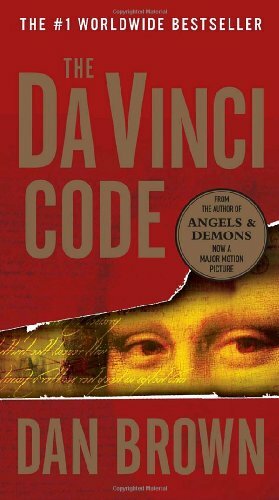 I am, however, reading Brown's earlier novel, Angels & Demons, which introduces the Robert Langdon character, an expert on religious symbols. In Angels & Demons, he is called on to foil a plot by the Illuminati to blow up the Vatican during a papal conclave, a plot that involves an antimatter bomb stolen from CERN, the great international particle-research institute located in Switzerland. By no criterion is Angels & Demons a good book, but neither is it your average thriller. The millennialism expert, Tom Doyle, has noted about apocalyptic novels that they often incorporate as much speculative science and engineering as science fiction, but that these elements are not what the books are about. Similarly, Angels & Demons has Tom Clancy-like expositions about hypersonic aircraft, and of course there is the antimatter. The difference is that, on some subjects, Tom Clancy knows what he is talking about. The count of bloopers in this book is so great that one begins to wonder whether they Mean Something. Mere ignorance could explain why the book translates "Novus Ordo Seclorum" as "New Secular Order." The assertion that Catholic Holy Communion "comes from" Aztec ritual cannibalism might be just badly compressed comparative anthropology. But what are we to make of the assertion that Winston Churchill was a staunch Catholic? A thriller can be forgiven for failing to give a nuanced account of the prosecution of Galileo. (The observational data, such as they were, did not support Galileo's cosmology particularly well; the scandal was that the Church's own philosophy of science said that such questions are not for theologians to settle.) The problem is that the relentlessly bad history in this book suggests that the Illuminati [who turn out to be not what they seem, by the way] would have had some justification for blowing up the conclave. Maybe I am making a category mistake. Could Angels & Demons be Alternative History? It may seem disproportionate to aim critical cannons at such slight work, but no: as Michael Barkun has shown, esoteric fiction tends to become cultic fact. Several detailed critiques of Dan Brown's conspiracy backstory have already appeared; whole books on the subject will be published in a few months. The real cure for Illuminatus fever, however, was published some years ago, in the form of Umberto Eco's novel, Foucault's Pendulum, which is a satire on conspiracy history of the Templar-Cathar-Reactionary-French variety. Unlike Angels & Demons, Foucault's Pendulum really is smart. Moving along from these romances of misinformation, we come to pure Gothic entertainment. Consider, for instance, the recent film Underworld, starring Kate Beckinsale. The film is a comic strip with actors, and of its kind it's wonderful. The story is about a long-running feud between werewolves and vampires, who fight special-effects battles in the dark cityscapes and Art Nouveau interiors that have become a specialty of Eastern European production companies. (The cast is mostly Anglo-American; the film was made in Hungary.) It all snaps right along to an effective club-music score. Underworld is The Matrix, without the pretensions. Nonetheless, such films do lack something. Bram Stoker's Dracula appropriated theology familiar to its audience to create story devices. Lovecraft's monsters were not Judeo-Christian, but they were wicked in an orthodox sense. (Lovecraft fans in search of more Ostdaemmerung, by the way, might glance here.) The secular trend, however, has been for science fiction and supernatural horror to merge. In Underworld, the transformations are all done with viruses. Silver kills werewolves, but if vampires are concerned with crosses, it's only as fashion accessories. This is fair enough, but the flipside is that a world without good is also a world without evil. Nobody's going to Hell; the worst these monsters can do is kill you. The film that has been getting rapturous advance raves from evangelical Christians turns out to be an R-rated inspirational movie no child can, or should, see. You see what is happening here? The opponents of the movie may be on the verge of making The New Testament cool. Talk about Transubstantiation. I'm really talking about the same thing that I started talking about the day I announced on Tim Russert that I was going to run for president...And I said then, the issue for America is security: job security, wage security, income security, retirement security, health security, education, and of course physical, national security. That's exactly what it is today. Just as I am prepared to criticize The Passion, I would be willing, indeed eager, to praise President Kerry, should he win in November. We can't afford a failed presidency. We especially can't afford a situation like Bill Clinton's second term, when the gathering Jihad was obscured in part by the Republicans playing silly buggers in the impeachment and trial of the president. Nonetheless, it's hard to avoid the conclusion that Kerry is far more clueless about national security than Bill Clinton ever was. By 1998, Clinton at least understood the scale of the peril. Even today, though, John Kerry can still append national security with an "of course." Pray to God he is disingenuous.